Some time ago I was in Ukraine. Before the tortured ideas of a corrupted government decided to annoy the hell out of every intelligently thinking person in the country. When we were there, it was kind of quiet and laid back, so let’s not go into the politics of the country. There are other places for that. 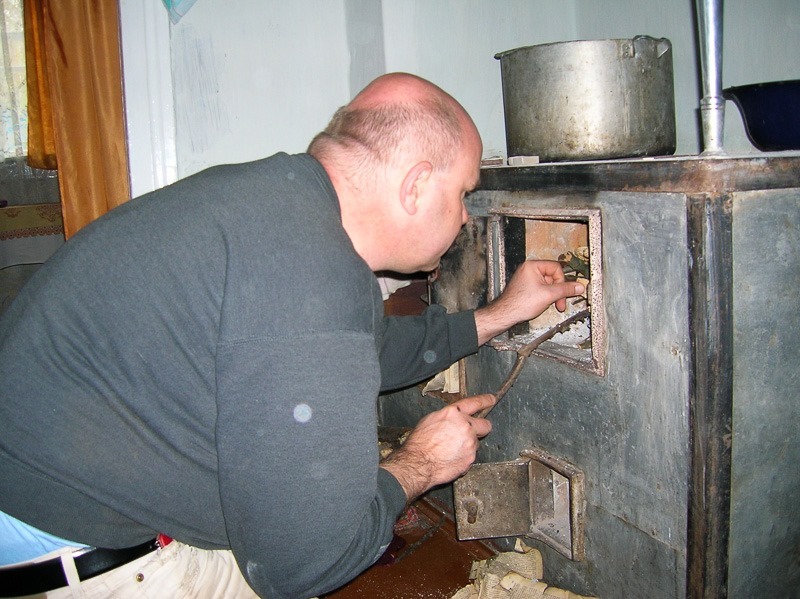 Firing up that old woodstove is more work than it looks. 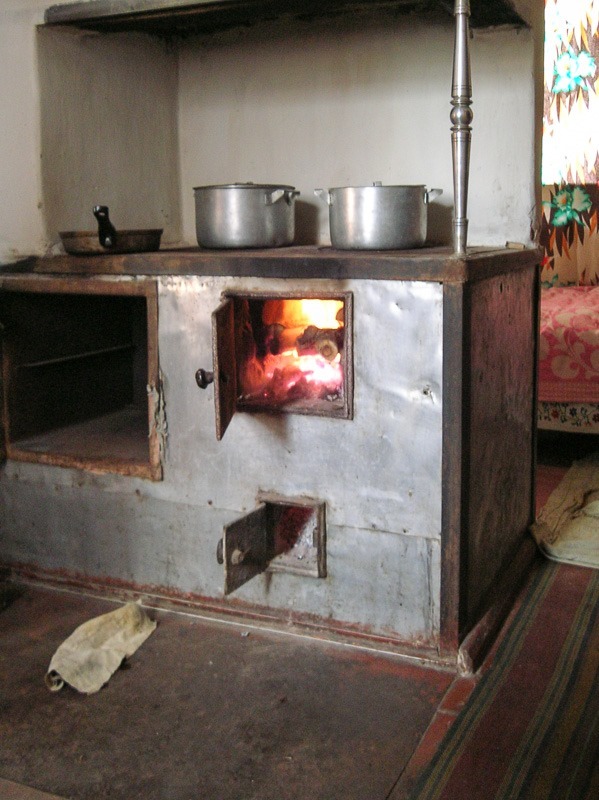 First you need to clean out the ashes of the previous burn, then cut wood into pieces small enough to fit the stove. Then you need to get it to burn properly. But once you have it going, you can easily create that drink that you have been craving. Samagon or Samogon comes from the Ukrainian words "self" and "fire". 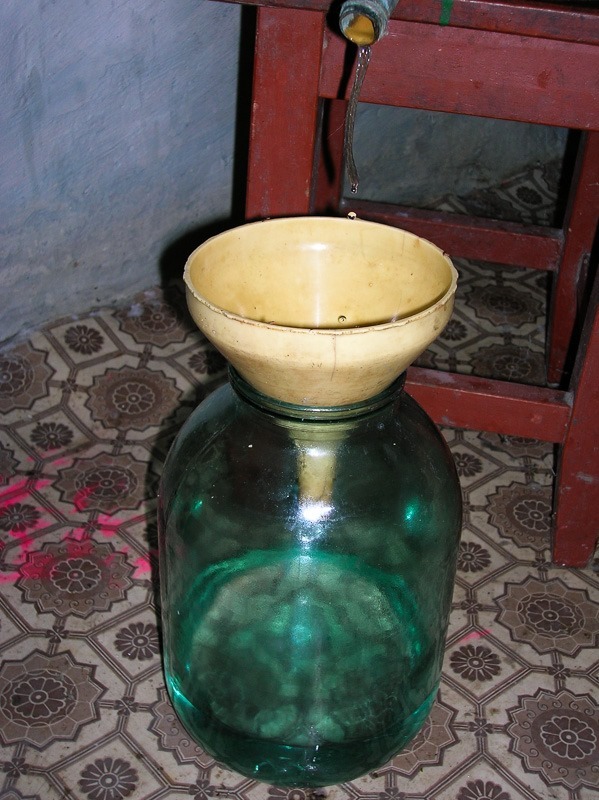 Making and selling your own firewater is forbidden in almost all countries in the world. The effectiveness of this prohibition depends on the taskforce deployed and the vastness of the terrain to control. In Ukraine the terrain is rather huge, with lots of small villages, and a relatively small taskforce. 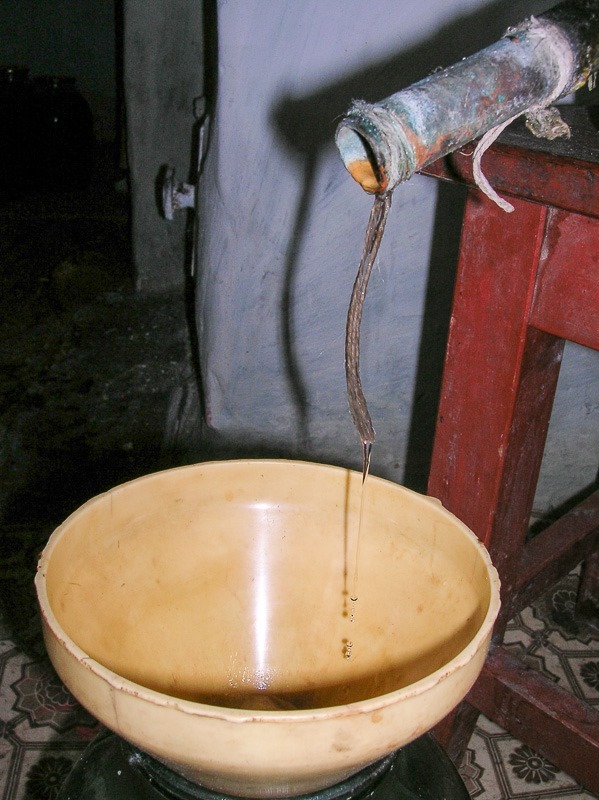 In these small villages, many people make their own vodka, or samagon, in other countries called moonshine, Mountain dew and many other coded terms. I am sure you have seen the series called Moonshiners on Discovery. 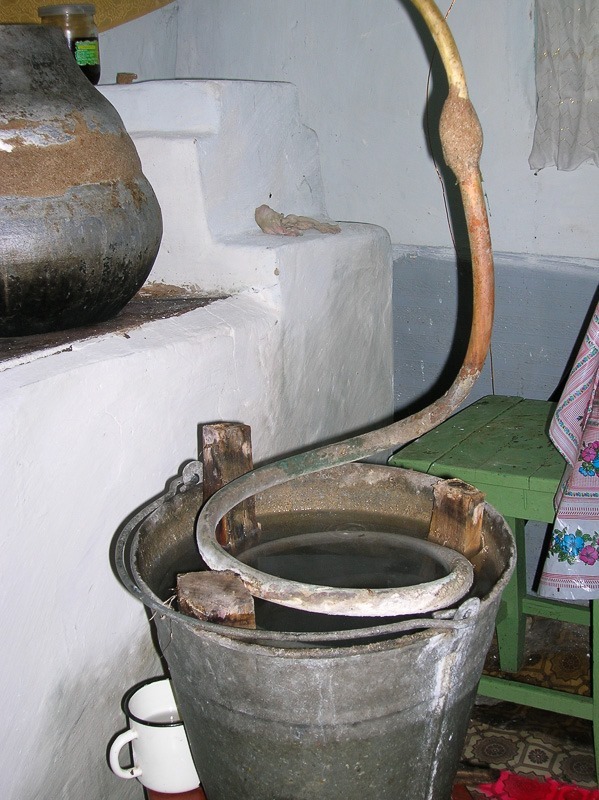 You can discuss the reality and the legality of making samagon yourself, but the fact is that the samagon made by the people from the country often has better taste and certainly has not been treated chemically to give it a little color or some extra taste or smell. And of course it's a lot cheaper than the stuff from the shops in nice bottles with fancy labels on them. As an example, some of the vodka now sold in Ukraine is made from chemically created alcohol, diluted to 90 proof and that’s it. No distillation involved. Having your own distillery is a dream of many people, certainly with all the taxes on the official alcoholic beverages. 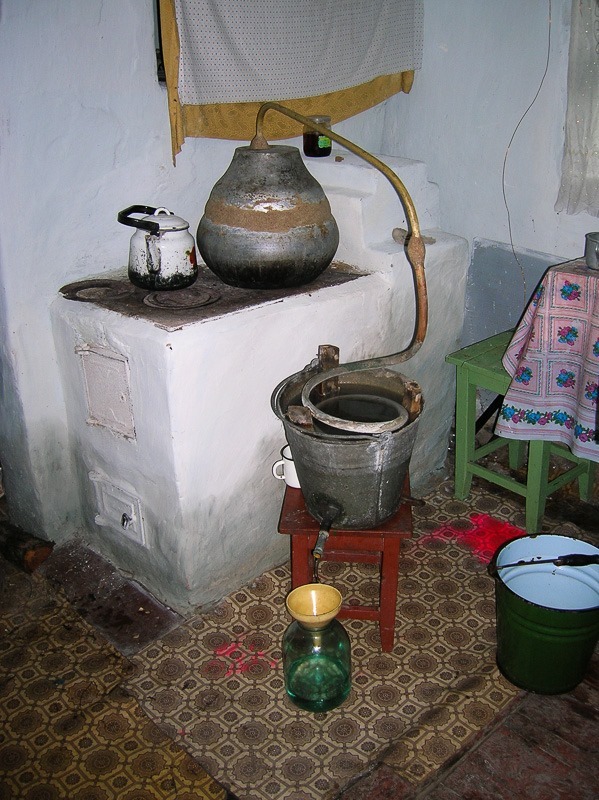 Well, in Ukraine it is still possible to make your own alcohol, but you should at least learn it from somebody who knows how to do it correctly. 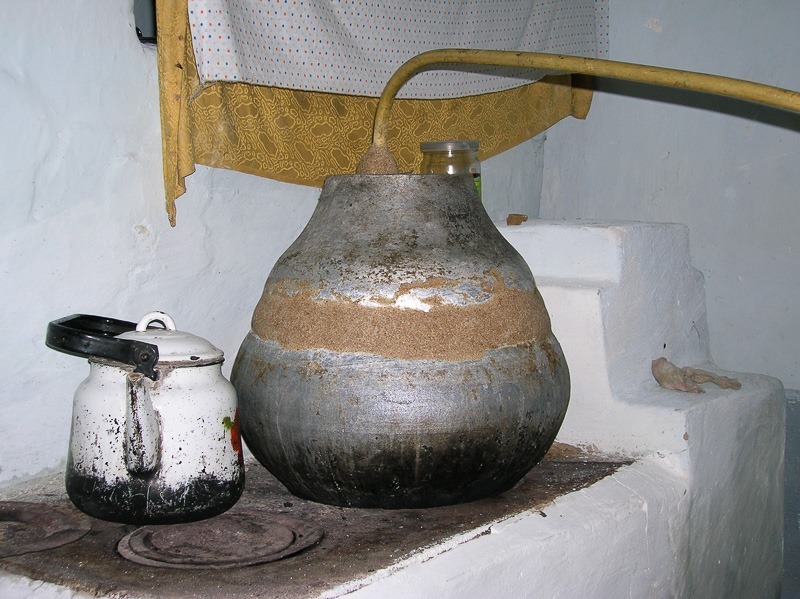 Badly distilled alcohol can be dangerous for your health, could cause blindness or even death. Use the best ingredients you can find and certainly don't add carbon filters or other stuff, they only kill the taste. If you just want to taste it, try to get it in the villages of Ukraine, but not in the cities. Often in the cities people make it only for business, using inferior quality ingredients and don't distil warm enough to get good quality alcohol (the less gas you use, the cheaper). In the villages, people take the time to do it correctly and with love for the process. Even more, doing it on cheap firewood makes the need for going cheap on gas… well needless. For those interested in making real Ukrainian samogon, here is the recipe. Adapt to your own possibilities and needs. The ingredients are rather simple, and you can easily add some natural ones to get a special taste. 40 liters of warm (lukewarm) water around 30 degrees is perfect. 6 kg of sugar, take some natural sugar unbleached etc. 0.5 kg of yeast, of course natural, not chemical. Here you can add a little fantasy like a handful of strawberries or another kind of fruit. Don't overdo it, and stick to one fruit at a time! Now you mix everything together and keep it in a warm (25°C ) place (behind the old woodstove for example) in a closed recipient for about 10 days. Leave a small hole for gases to evaporate though. After 10 days the mash will be fermenting heavily. A recipient to get the pure alcohol. Heat the kettle on a small fire, fill the cooler (regularly) with cold water so that the gaseous alcohol gets liquid again and can go into your recipient (bottle or other). So that’s a little warmth to think about. While here in Canada it is not illegal to make your own beer or wine, I’m not so sure about stronger stuff like this. As with many things, as soon as taxes are involved it will become illegal to do it yourself.